international consumers. We often discuss product placement in american movies but sometimes forget about other countries. The main “competitor” of Hollywood is obviously Bollywood. How does product placement work in Bollywood? After my trip to India (which explains why I did not post for a while), I realized that product placement is a communication tool often used in Bollywood movies. A growing example of brand placements in non-US media is the Hindi film industry in India. Increasingly, Bollywood producers are accepting cash from multinational advertisers. Yet, little is known about how Indian consumers respond to such initiatives. Bollywood offers an enormous production output (approximately 1000 films/year), compared with Hollywood (473 in 2003, Motional Picture Association of America, Inc.). Bollywood benefits from a large audience eager for consumption. Indian consumers are considered to be sophisticated and savvy, even transcending language or class boundaries. In India, films are relatively inexpensive to produce. However, they are largely self-financed. Before, Indian brands were shown in background, usually within the songs. In the past ten years, multinational brands have looked to local media to reach Indian market. They are nowadays, in the daily lives of Indians. For example, Coca-Cola plays an increasingly prominent role in scripts. In Taal (1991, ‘Rhythm’) the lead couple romance over a bottle of Coke and in Mohabbatein (2001, ‘Loves’), verbal mentions of Coca-Cola become prominent. Cultural values and communication styles influence advertising persuasion and can influence the way consumers process product placements. India is seen as a collectivist culture, individuals are primarily motivated by the norms of those collectives. However, they are also considered vertical coUectivists, given to their desire to stand out from others and the caste system. If we look at the Hofstede’s cultural dimensions model (2001), India scores high in the cultural dimension power distance and verticality (individualist vs collectivist), showing that status in the hierarchy are important. Looking up to successful people in the hierarchy (such as celebrities) is also really important in this country. Even temples are constructed for some of them. Thus, brands placed in the hands of characters admired by the audience may be really effective. The important adherence to in-group norms can also influence the brand selection. The Indian audience is emotionally involved with onscreen actors, and always looked to the actors and actresses for new trends, fashions, and hairstyles. Another important factor is that, even if Indians are devoted to religion, materialism is seen as belonging to the same realm of experience. Indian communication is characterized as group-explicit non-verbal style and symbols are important in advertising. The message is explicite but through non-verbal communications. Individuals in high-context cultures look to visual symbols to communicate. Indians may be more apt to note brand symbolism in films. Moreover, it can be more enhanced for those who are conscious of brands. The length of Bollywood movies (they typically last 3 hours) offers additional opportunities for brand placements. 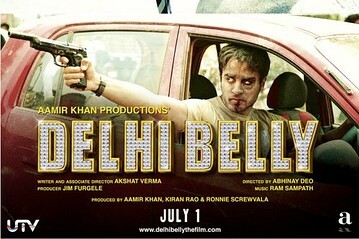 The trend of weaving a product into the storyline has become common in the Hindi film industry in the past few years. Recent films, such as Fashion (2008; featuring Sunshine and Kimaya) and Dostana (2008; featuring the magazine Verve) included several brands that were integral to the movies’ themes. As product placement is really important, most Bollywood movie producers have separate departments to handle it in their movies. Even if some researchers have studied explicit measures of product placement effectiveness (memory), implicit measures should be explored (such as brand evaluation and choice). Tags: bollywood, brands, coca cola, cultural dimension, India, movies, product placement. Bookmark the permalink. Previous post ← Would you like a beer, Mr Bond? I’m not an expert in product placement in Bollywood films, but send me an email if you need some help. My contact is on the blog. Thank you Rajesh. This is a cool trailer. Hopefully, I’ll be able to watch it one day.